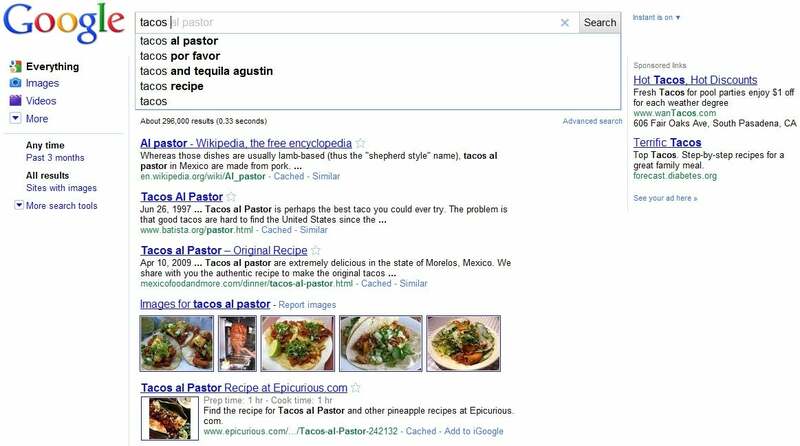 The new Google Instant search reveals streaming Web search results as fast as you type. As awesome as the concept might be, though, the results are confined to the Web. Google has the elements--combining Google Instant with Google Desktop--to develop a universal search capability that can drastically improve productivity. Marissa Mayer, VP Search Products & User Experience for Google describes the advantages of Google Instant in a blog post. "The user benefits of Google Instant are many--but the primary one is time saved. Our testing has shown that Google Instant saves the average searcher two to five seconds per search. That may not seem like a lot at first, but it adds up. With Google Instant, we estimate that we'll save our users 11 hours with each passing second!" That sounds fairly impressive, but how many Web searches does an average user conduct per day? I might search the Web five or ten times a day, but I make my living on the Internet, so I might not be a valid use case. Still, assuming Google Instant can save me three seconds per search, I would save 30 seconds per day, or two and a half minutes per work week--totaling just over two hours a year of time saved. Granted, that is nothing to sneeze at--especially for large organizations with thousands of employees each saving two hours per year. However, Web search is already pretty snappy, and between Google and Bing I can generally find what I am looking for pretty quick. Finding local data is often a different story, though. The concept of search at the speed of type isn't new. It's just new to Google Web search. X1 provides instant search results from e-mail, file attachments, local files, calendar events, contacts, archived e-mail, and remote data stores like file servers and Microsoft SharePoint data. Microsoft has a similar search capability built in to Windows 7. The problem with these desktop search capabilities is that they don't include Web search results. Google Desktop offers comparable local search of e-mail, files, music, photos, chats, Gmail, and previously viewed Web pages, but not the current Web at large. Basically, if a user wants to find a good template for creating a spreadsheet to track project expenses, she will have to conduct separate searches of local data and the Web and correlate the information to find the best option. What if Google were to combine Google Instant with Google Desktop, though, and create Google Universal? Now, that is an application that can really boost productivity. Google Instant and Google Desktop are both great tools, but a search bar that predictively streams instant results from both the Web and local data stores in a single interface would enable users to function more efficiently and effectively.